Yes, that's what happened. You are correct. As I stated, the charger's rating is 2.5A. I assume it's real rating but just in case I will try to figure out tonight how much current it can deliver. EDIT: The reason I assume it's real is because I bought it from a shop specialized in single board computer accesories (RPI and others) and because it is pretty heavy compared to other chargers I own which say they deliver 2A but do not go past 500mA. 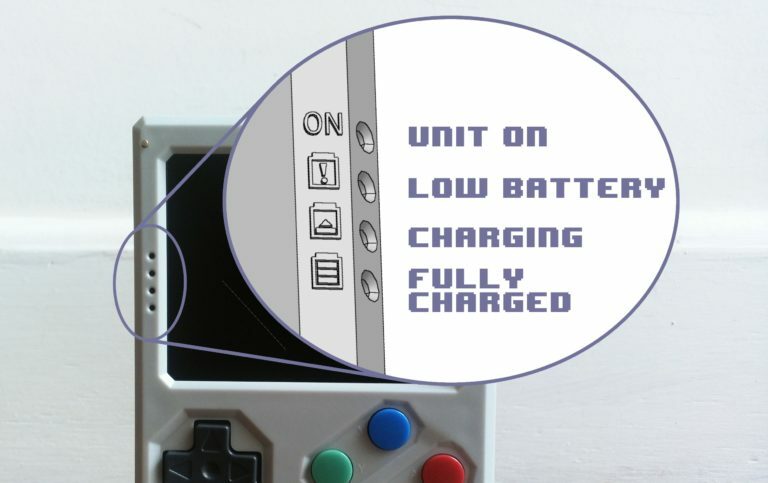 What is the model of charger you'r using? Can you try another charger maybe? It's a Probattery FASW-053100F. I just google'd it and it turns out it's marketed as a 3.1A power supply, however it was sold to me as a 2.5A power supply (and it says so in the provided specs on the brick). I'll test another 2A charger (a portable one) and I'll also try to get ahold of a USB multimeter to check things out. The micro-USB connector is a normal one, not sure what could be the problem with it. I have just received my Retrostone and I am using a normal charger of a mobilephone I had at home. The console is charging during 5 hours and only appear 2 blue leds...., when Will the retrostone complete the charging process?? or how many blue leds must appears to show that the battery is totally full??? Thank you a lot in advance!! LED 3 + LED 4 means it's fully charged. i have receive my retrostone and have after 2 hours low battery, i have plug charger 5v - 3A during 5 hours not charge completed, the last LED not in blue. Who have solution to have full charge ? J'ai reçu ma retrostone après 2 heures d'utilisation la batterie était déchargée et l’écran à fait des truc bizarres , j'ai chargé avec un chargeur 5v - 3A pendant 5 heures mais cela n'a pas rechargé complètement la batterie (dernière led toujours éteinte). J'ai essayé avec un autre chargeur 5v - 2A pendant 4 heures après la première recharge c'est pareil la batterie n'est pas chargée complètement. Full charge takes about 6 hours. So maybe it has not reached full charge. Have you played between your 2 charge attempt? Also some chargers have been reported to have a strange behaviour with retrostone charge manager IC. So if you can't reach full charge in 6-7 hours with a charger it is worth testing another one. Also few units have been reported to have current leak, resulting in battery getting empty in about 1 hour. For these units the charge seem to be very slow. They need to be replaced. However as you could play 2 hours before having low battery I don't think that's your problem.